Our product range includes a wide range of deodorisation plant, deodorizer with stripping column and degumming system. We offer Deodorisation systems that are of designed to deodorise the oil and other things. 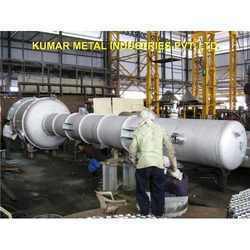 These are efficient and are built to work at high vacuum and temperature. Fabricated from advanced technology and by expert technical personnel, these deodorisation systems thus meet the varied needs of oil industry. We offer reasonable prices for these deodorisation systems. 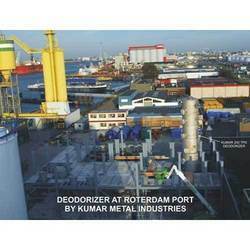 We offer Deodorizer With Stripping Column that is a packed column with structured packing, complete with oil inlet distributor and steam distributor , to evaporate free fatty acids and other unwanted volatile materials from oil. These deodorizer are certified with CE-PED machinery certification. We are approved to design and manufacture Pressure Vessel in compliance with the European Councils Pressure Equipment Directive 97/23/EC & Machinery Directive 98/37/EC by the European Notifying Body. 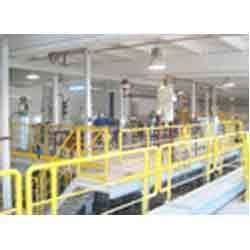 The system is designed to degum crude oil. The Degumming System will generally produce oil with lower levels of residual phosphatides and less residual pigments and therefore require less bleaching earth in bleaching as well as help generate finished deodorized oil with a lighter color and longer shelf life. Looking for Chemical Refining ?